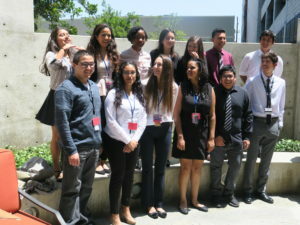 LA-HIP is a summer research training and college preparatory program for Latino and African-American rising senior high school students from public schools in Los Angeles County. The overall goal is to provide students that have a genuine interest in Science, Technology, Engineering and Math (STEM) with the opportunity to learn hands-on laboratory-based research and to promote their careers to become future scientists or physician scientists. Interns conduct their own research projects and also receive professional college and financial aid counseling to help them with the college application process. APPLY: The online application will be available beginning in October 2018. An unofficial transcript and recommendation from your science teacher or academic counselor is also required.